Dan S. Kennedy dares marketers to dramatically simplify their marketing, refocusing on what works. 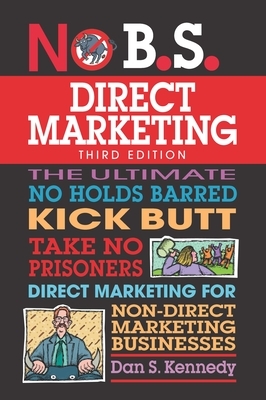 Updated to address the newest media and marketing methods, this marketing masterplan delivers a short list of radically different, little-known, profit-proven direct mail strategies for ANY business. Strategies are illustrated by case history examples from an elite team of consultants--all phenomenally successful at borrowing direct marketing strategies from the world of online sales, infomercials, etc., to use in 'ordinary' businesses including retail stores, restaurants, and sales. Dan S. Kennedy is a multi-millionaire serial entrepreneur with past and present interests in diverse businesses; a strategic advisor, marketing consultant and coach with a cadre of private clients ranging from exceptionally ambitious entrepreneurs to the CEO's of companies as large as $1.5-Billion; one of the highest paid direct-response copywriters in the world; a popular professional speaker and seminar leader; and a prolific author. He resides in Phoenix, AZ.